Meet the Masters Preschool Arts Program leaders share with young students. Visit www.elcnorthflorida.org to learn more. 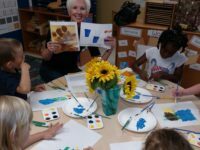 ST. AUGUSTINE, Fla., May 25, 2017 – The Early Learning Coalition of North Florida (ELC) has initiated a new “Meet the Masters” art program for four year olds. 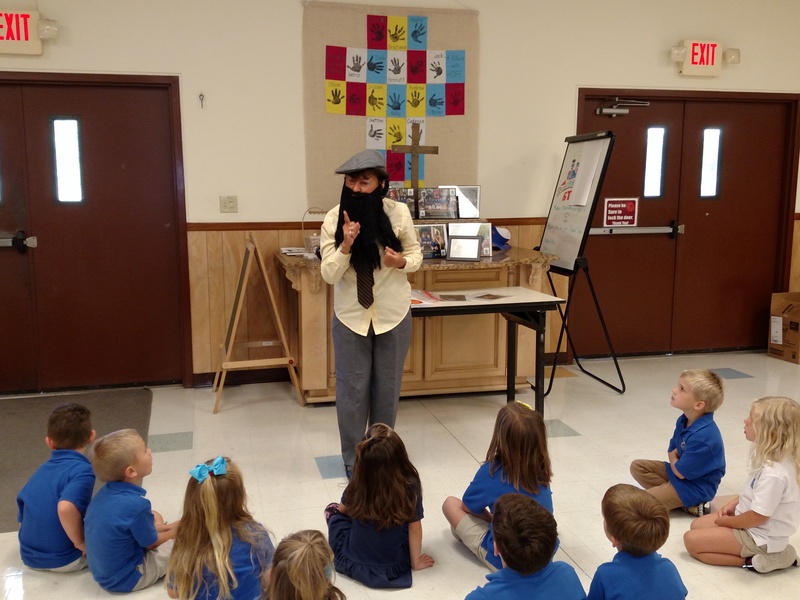 The program provides engaging art curriculum for the children to learn about the lives of the master artists. The program begins with the children dancing and waving scarves to the music of Beethoven and Offenbach. After, the character of George Seurat, the famous artist who used the technique of pointillism, visits the class and teaches the students about his life. Seurat then reads them the book titled “The Dot,” by Peter H. Reynolds. After storytime the classroom is transformed into an art studio for painting and sculpting. Children get creative and make their own dot paintings imitating Seurat’s pointillism as well as sunflower paintings like Van Gough. Then they get to use clay, “Play-doh” to design sculptures like the famous French sculptor Auguste Rodin. 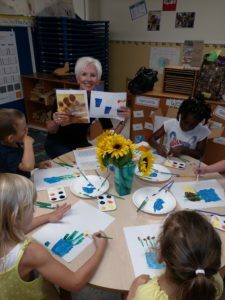 What makes the “Meet the Masters” art program dynamic, according to Whitson, is that children are learning appreciation for art, practicing the skills and applying them all at once. Each classroom receives a large resource bag filled with art supplies, music and activity pages to further encourage them to incorporate more of the arts in their everyday programs. About the Early Learning Coalition: The Early Learning Coalition of North Florida (ELC) serves the counties of Baker, Bradford, Clay, Nassau, Putnam and St. Johns assisting parents, caregivers and educators of children ages birth-pre-kindergarten. ELC manages and evaluates early child care and education programs through a quality school readiness delivery system.